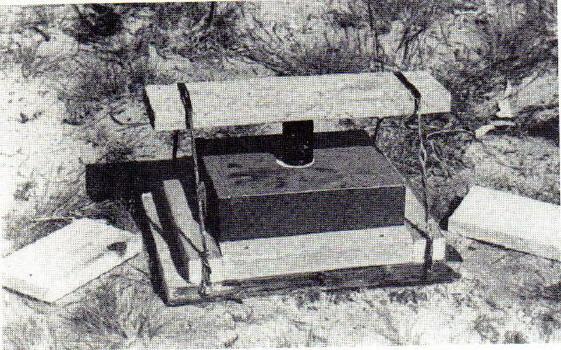 The black-and-white photo below shows an improvised mine based on a "Brettstück mine". You see a wooden base-plate, a 3kilo charge with pressure fuze DZ35, and a pressure plate made of wood. The two wooden plates laying on both sides would have been the transport-safety, placed between base- and pressure-plate.